With Cove you can create a secure wallet on your phone to store digitally-verified copies, as good as the original, of your most important documents, allowing you to effortlessly and securely verify your identity online and offline. 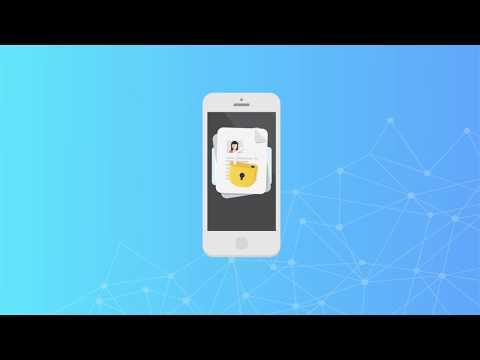 With Cove, a user can create a secure wallet on their phone to store digitally-verified copies, as good as the original, of their most important documents. They can verify their documents with other users and organisations on the blockchain, eventually allowing them to effortlessly and securely validate their identity online and offline. Hundreds of people have already downloaded the first version of the app from the Android and iPhone app stores. Easily create secure digital backups of your most important documents. Cove automatically scans and tidies documents and uses text recognition to suggest tags, effortlessly organising the documents. The Cove Secure Wallet uses the end to-end-encryption to ensure the user’s files are as secure as they can be. The Cove Network offers multiple ways for users to verify the existence of their secured documents and the contents within them. A verification score will be accumulated with every successful verification making it increasingly likely for 3rd parties to accept these documents as valid. With all their important documents verified and securely stored in their secure wallet, users can easily validate their identity with 3rd parties that are both on the Cove partner network and off it through multiple validation options. Blockchain helps in both the verification and validation processes. Cove Research Begins - Development work, research and testing begins on the Cove concept, encryption and blockchain. Sarvpriye and Kunal start driving the RnD. Cove Implementation Starts - Cove Team expands to start building the product. Incorporation - Hashcove Limited is registered in the UK and the founding members include CPMO, Jon Bishop. MVP launches - The fully functioning MVP is released in both the Android and iPhone app stores. Token Sale Announced - Token Sale and pre-sale are announced to the contributors community. Token Sale completes - The Cove Token Sale (including crowd sale and pre-sale) will be completed. Improved storage-based features - UI improvements and new features to make storing and sharing as easy and safe as possible. OCR text recognition, machine learning, web version, biometrics, secure sharing, file search etc. Verification system - Full suite of verification services, engine and scoring system in place. P2P, agent and organisation verifications will be available. Marketplace - Request and offer value added services to the Cove Network. Rewarded with Shells, Cove’s token. B2B Platform - A suite of services to help organisations join, participate and create value for the Cove Network users.